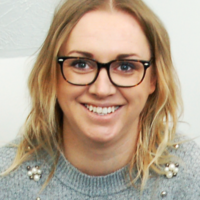 Sadie is our Client Relations Assistant and helps with the day-to-day running of the business. She has over 15 years’ experience as an Executive Assistant and loves nothing more than getting things in order, whether that’s helping to field client requests and manage Shannon’s busy schedule, or keeping on top of systems and procedures to ensure everything runs smoothly for us behind the scenes. Sadie works remotely for us from her home office in Cambridge, UK and when she’s not helping clients with scheduling and logistics, she’s most likely to be found running around after her two young sons. I was once nominated as “National EA of the Year” in my previous role for a global accountancy firm. Between work and family life, there’s not much time left – but if I had a whole day to myself, you’d find me in a spa resort with a good book. My favorite place to holiday with family is Isle of Wight, but for a couples getaway I love Jamaica.